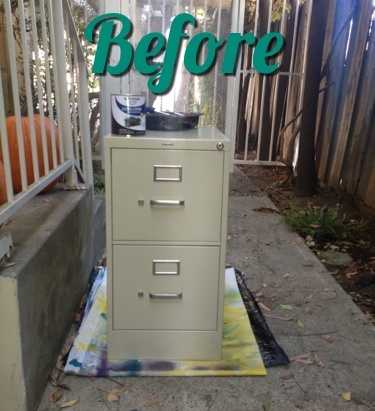 As you all have seen, it does not take a lot to revamp an old filing cabinet. 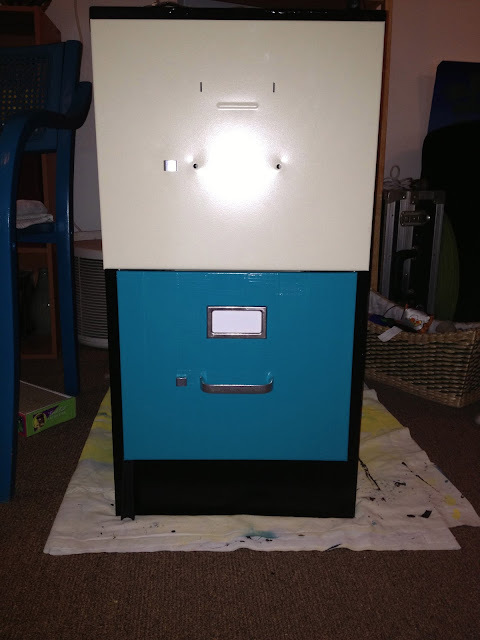 I used Duck Tape and Rust Oleum Paint for this project. 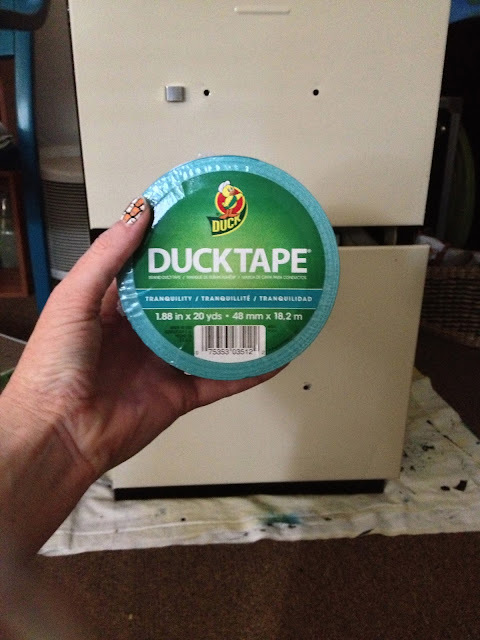 I loved the color of the Duck Tape and I could not find any solid color wallpaper, fabric, or contact paper I liked. When I came across this beautiful Duck Tape, I knew wanted to use it on my old filing cabinet. 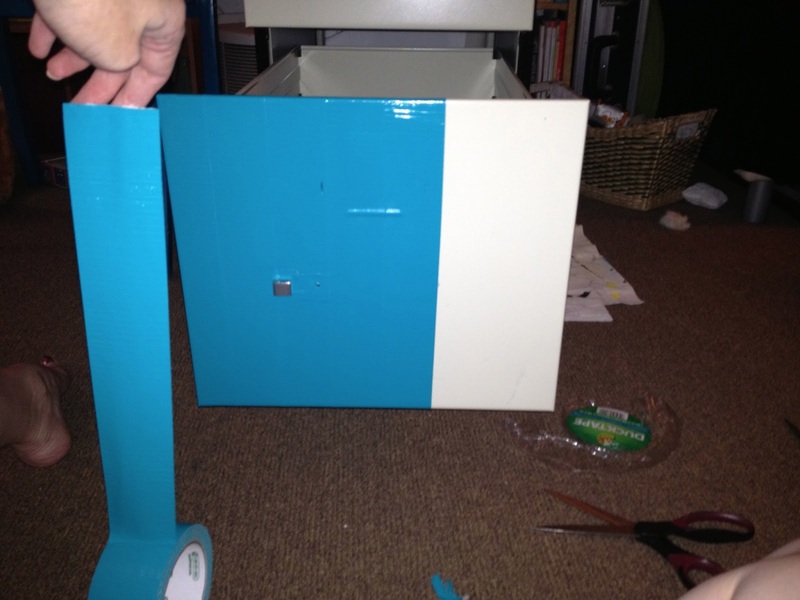 It gives the cabinet a great stripe texture, too! drawers before putting the tape on. I just love revamping old furniture in my apartment! It is fun to have nice things and to avoid the cost! It's all about DIY. 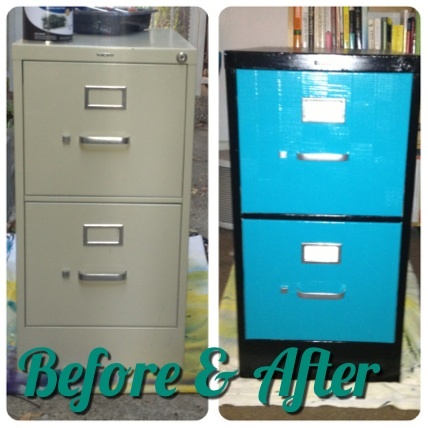 Revamp your filing cabinet and leave the link to your blog down below!